Your game is one of the most popular titles in the world, so act like it already. This past weekend's Pokémon Go Fest felt like a bit of a flashback to 2016. Users were having connection problems and couldn't even sign into the game. People were angry, and refunds were doled out. But the truth is that game developer Niantic has spent the past year ironing out those issues, and the game has improved quite a bit. The festival in Chicago was intended as a love letter to those who stuck through it all and kept playing, while also giving the company a chance to unveil long-awaited Legendary Pokémon. Instead, it was a mess that showed the developer is still struggling with unexpected success. Attendees who paid $20 for a ticket or more waited hours to get inside the event at Grant Park only to be unable to play at all once they entered. While there were some server issues, a lot of the problems stemmed from the cellphone towers in the immediate area, which were overloaded with Pokémon Go-related traffic. It got better once Niantic opened up the "capture area" with all its event-related Poké goodies to 2 miles, which allowed attendees who had already left the park enjoy some of the activities they had been promised. As a last-ditch effort to placate angry fans, Niantic offered refunds and released the Legendary Pokémon to everyone anyway. On the surface, the idea that Grant Park could support an event of this type seems reasonable. The park is a popular tourist destination and has hosted Lollapalooza since 2005. But even if a single event in the park had thousands of people milling about, they weren't all using their phones the entire time. 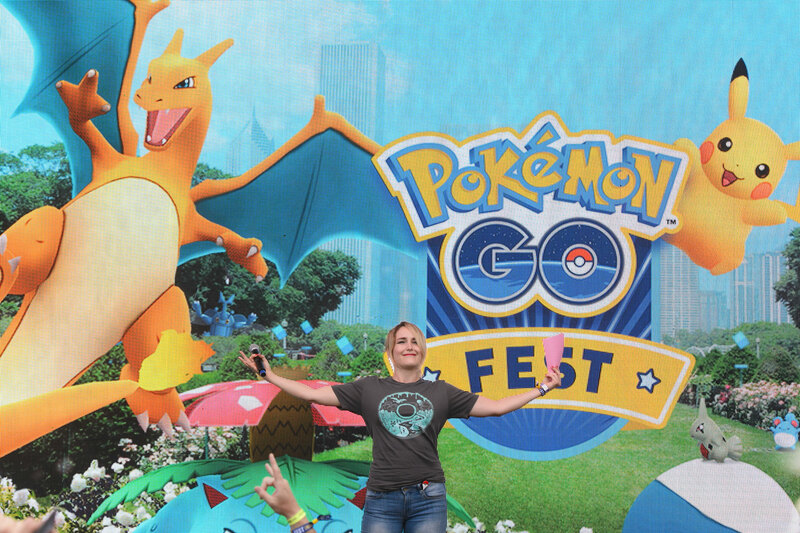 And Pokémon Go Fest was very much focused on getting attendees to do just that: The events listed on the website include "increased Pokémon encounters" and "special PokéStops," with the only real world element being a trio of "team lounges" for resting as well as mingling with other players. Niantic certainly considered the possibility the towers might be overloaded. Its event organizer contacted the major providers to arrange for adequate cell coverage. While some carriers, like Fest sponsor Sprint, deployed mobile units to handle the extra traffic, others felt that the existing infrastructure in the park was enough. Indeed, users reported the most problems with AT&T and Verizon. Niantic had no alternate arrangements in place, even though it still considered network problems a possibility and asked attendees to not livestream the event. Niantic also did not receive assistance from The Pokémon Company International (TPCi), which manages the brand and successfully runs events like the Pokémon World Championships. Such competitions may involve more than just card or video gaming, with costumed characters and activities like stage shows and shopping. TPCi's experience running events would have been a huge help at Pokémon Go Fest, providing things for players to do and managing the upset crowds better while the connection problems were dealt with. Instead, Niantic handled this event largely on its own. The company has some experience running events for its other AR title, Ingress, with players working together toward a common goal. The challenges at the Pokémon Go event would have followed a similar format, with players working together in the highly anticipated raid battle to unlock Legendary Pokémon like Lugia for the first time. But those Ingress gatherings were a lot smaller. Pokémon Go has been likened to a reskinned Ingress a lot over the past year, a perception that Niantic only bolsters when it treats the former like the latter. PokéStops were placed at the same locations as Ingress portals, which resulted in players walking up to decidedly family-unfriendly locations like funeral homes and strip clubs. And instead of the company targeting casual gamers that make up the bulk of its current fanbase, it doled out the beta for Pokémon Go mostly to Ingress players. But Ingress is an original property, while Pokémon is a brand that has been around for 20 years. The Pokémon series is a consistent best-seller on Nintendo systems, and the TV show has been running for 20 seasons, with the movies to match. Pokémon Go exploded in a way that Niantic was unprepared for, leading to last year's catastrophic server problems. The company can no longer say that Pokémon Go's popularity is unexpected. Not when the app remains in the top 20 in both the App Store and Google Play Store after a year, and certainly not when its own ads tout how many millions of Pokémon are being caught every single day in New York or Tokyo. The tickets for Pokémon Go Fest sold out in 10 minutes and were being scalped for hundreds of dollars. Niantic knew exactly how many people were going to show, and still somehow couldn't handle it. The company's biggest asset right now is its massive fanbase, and many of its communications over the past year have focused on the game's community. But, while the company has staffed up in order to try and support the game on a technical level, we haven't seen the same commitment in programs and events to support that fandom. The Pokémon Go Fest was the right idea, but Niantic didn't push for the logistical support it needed to succeed. If Ingress is a small-town fair, Pokémon Go is the Lollapalooza of mobile games, and it needs to be treated as such.